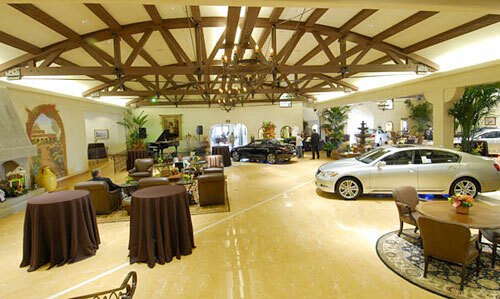 Lexus of Santa Monica has taken the dealership experience to a entirely new stratosphere, installing the cars in a place that looks more like a villa than a showroom, with fountains, a grand piano, chandeliers, and even a cobblestone drive. Quite a departure from the antiseptic look of the usual standard. I’m not entirely sure what to make of it. Certainly looks comfortable, but don’t the cars seem out of place? I imagine it’s something you have to experience in real life, but it seems more like a restaurant than a place to buy a car. One thing’s for sure, the women over at Ask Patty love it. Thirteen percent of women golfers would give up their hair for the perfect swing. One out of three women golfers say they prefer to play with golfers who are better than they are (38%). 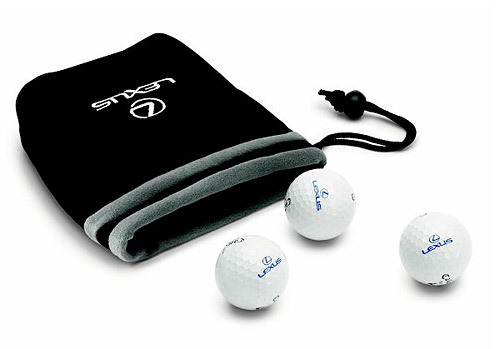 52% of women golfers check to see how many bags of clubs can fit in the trunk of a car before they buy it. 43% of women who golf say the sport has improved their relationship with their significant other. More than six out of ten women golfers say their friendships have benefited because of golf (63%) and another 23% age 18-39 say their pursuit of golf has benefited their job performance. What the ad didn’t say — and what Team One [Lexus’ Advertising Agency] members didn’t know until later — was that gold-plated sensors are standard on almost every car. However, few in the viewing audience seemed to notice and it served its purpose by reinforcing the notion that Lexus was synonymous with quality of the highest standard. “Dreadful”. “Horrible”. “Charmless”. I’m honestly surprised the host didn’t drive the SC 430 off a cliff at the end. 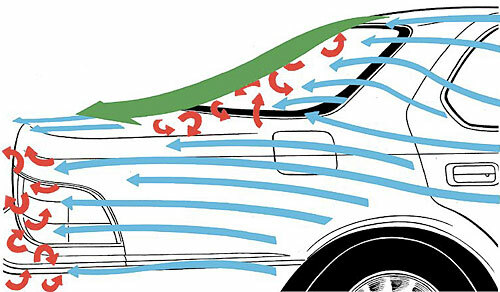 One of the major design considerations when the first LS 400 was being prototyped was reducing its drag co-efficent (Cd), or the amount of wind turbulence the car experienced when in motion. A low drag helps with fuel efficiency and reduces the amount of energy needed to keep the car moving, and when the car was introduced, the LS 400 proposed to have lowest Cd of any standard passenger car. So when Autospeed decided to publish a series of articles examining the aerodynamics of various vehicles, including a 1991 Lexus LS 400 seemed elementary. They also took to an interesting method of investigation: tufts of wool were taped over the entire car, which was then driven down an empty highway at 80mph, all while these tufts were examined for turbulence. Quite a bit cheaper than renting a windtunnel! This was by no means an exact experiment, but the results are interesting nonetheless. They discovered a bit of air turbulence around the bottom of the rear window, though minimized by the design of the C pillars, and some additional unsteady air flow around the front wheel wells. At the very least, this was quite an entertaining visualization technique of a key component in vehicle design.